Toenail fungus rarely heals on its own. It is usually a chronic (long-lasting) condition that gradually worsens to involve more and more of the nail. Even if the affected nail falls off, knocked off or surgically removed, the new nail that grows usually is infected with fungus. If you are reading this you should call Nail’n’Toe NOW! 1. 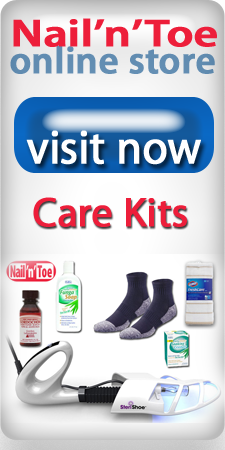 A portion of your toenail has become abnormally thick or discolored, and you have not done anything about it yet. At this stage a visit to a Nail’n’Toe provider will guarantee the best result for you. This is a solid 10. 2. You have tried to follow the advice of the internet gurus offering all kinds of miracle cures for toenail fungus online, but the fungus is still there. Still a very good time to see our doctor. A good 10. 3. You have tried multiple topical OTC creams and ointments from your pharmacy, but they did not provide the cure for the fungus. Your chances of a complete cure are still good – 9. 4. 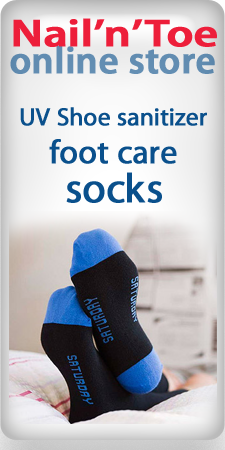 You continue wearing tight-fitting shoes or tight hosiery and practice poor foot hygiene. You wear layers of toenail polish to cover your ugly nails. You notice that fungi have spread to other toes (it may even spread to the feet of someone who has had contact with your feet). We can still save your quality of life – 8. 5. You have pretty bad nails, which make walking painful or difficult. You decide that you need to be seen by a doctor – this is a good 7. 6. You have seen a doctor who trimmed your nails, filed them down, or dissolved them away with a paste that contains urea and bifonazole. You have completed a course of oral or topical antifungal agents. You saw good results after 12 weeks of therapy. However, the fungus returns (which happens to over 30 percent of patients). Nail’n’Toe is your best chance to save your nails – 6. 7. Your nails are horrible: deformed, discolored, chipped off and smelly. Walking is painful. Nail’n’Toe is your last chance, but some of your dystrophic nails might be beyond repair so we can only give it a 4 or a 5. CONCLUSION: Don’t waste time, money and effort! Do yourself a favor – go see a Nail’n’Toe doctor now!